In the past month I have had a number of experiences that have reminded me of the power of story. First, I traveled with colleagues to Mexico City for an experiential meeting. In this meeting, we used what is called in the Latin American community “participatory process” to discover new ways of working together. This process begin with each of us telling stories of our past, preferably, as we were instructed, things that no one else knew about us. There were stories told of college pranks, family issues, trying times, unique encounters and the like. These stories gave us all an opportunity to be drawn in to the personal side of our colleagues, a side we may not see from day to day in our office cubes. It was insightful and helped me to have a better appreciation for those with whom I share a common purpose. The second occurred, when I traveled to Allentown, PA to rendezvous with two women from the Evangelical Lutheran Church in the Gambia (ELCTG). Rev. Bass and Ms. Luigiasa were visiting a family who has supported the ministry in the Gambia for years. 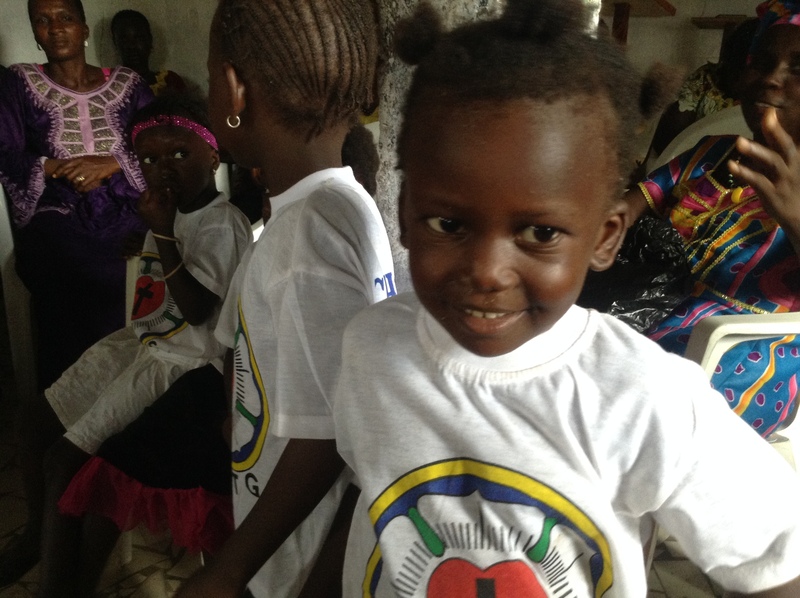 They were there to share with congregations and organizations the story of this relatively new church that is working to help educate the children, bring hope to the poor and empower the women of the Gambia. I witnessed this ministry of the ELCTG first hand when I stopped in the Gambia in October on my way home from visiting the Lutheran Church in Senegal (ELS). The Evangelical Lutheran Church in the Gambia began in 1999 from the efforts of a few people including Rev. Thomas. In the last 15 years he and his wife Rev. Bass have taken a vision of what is possible with God and created a community of Lutheran believers in the Gambia. They have been mentored by pastors of (ELS). 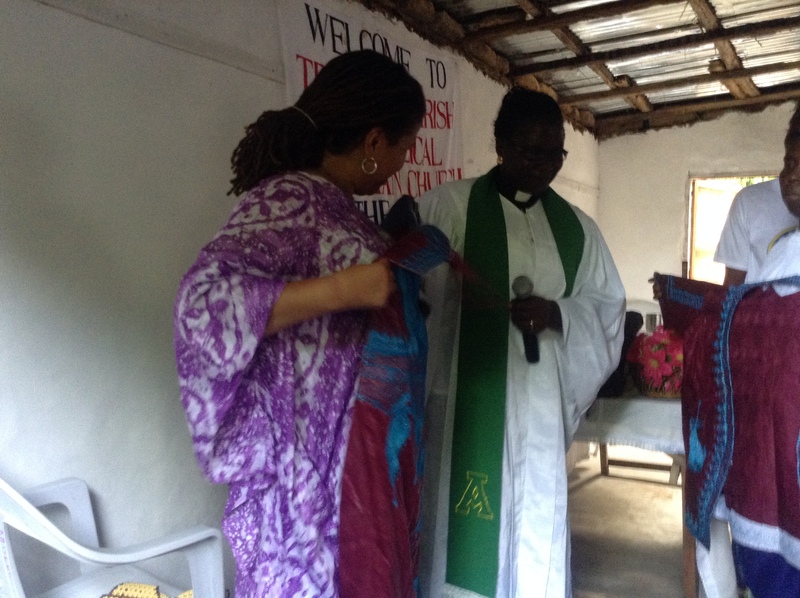 With the help of the ELS, the ELCTG is now working toward inclusion in the Lutheran Communion of West Africa (LUCWA) and an official church to church companion relationship with the ELCA. While in the Gambia, I heard the stories of the women and saw the work they were doing to achieve economic viability. I heard the stories of the inability to pay school fees for children, from women who went out everyday to stand by the side of the road selling peanuts and other goods. They want so much to provide a better life for their children and they are willing to work harder than you and I can imagine. I heard the stories of twenty-something year old women that wanted to get an education and had gone through tremendous hardship to realize this possibility. When Rev. Bass told me she may be coming to the US, I told her if she got here, I would make my way to visit. So she got here and I went to Allentown, PA to keep my word and support this budding relationship. In Allentown, I was privileged to hear Rev. Bass’ story and I won’t tell it here, because it is her story to tell. What I will say is that in what she saw as the opulence of the United States of America, she became hesitant and did not want to tell her story. The people she was meeting, the women that she saw have much more than she does; they live lives with ready access to resources that are not available to most women born in the Gambia. I am sure you can see how this might make one feel. It was as though she thought her story made her “less than.” This made me sad. Yet, she dared to tell me her story. As I listened what I heard was indeed powerful. Hearing this story I was drawn in, mesmerized and amazed at the strength of this beautiful black woman that seemed uneasy in these unfamiliar surroundings. I was taken aback by the strength of her faith and the witness of God’s power in her life. And that’s what I told her. When I told her what I thought, her eyes lit up and I could tell she was thinking of things in a new way. At least, I pray that she was and that she will continue to summon the courage that comes from God to speak out of her lived reality. I want her to tell her story, so that you can hear about the amazing things that God is doing through this woman and the community that she has helped to bring into being. And I pray that we will all continue to listen to the stories of those we encounter so that we might be reminded that our stories are connected and these stories witness to the power of God in the world.